True Love from Source has no conditions. It simply Is. It is for all of us, without question, without catches, without fear, judgment, or any other conditions. 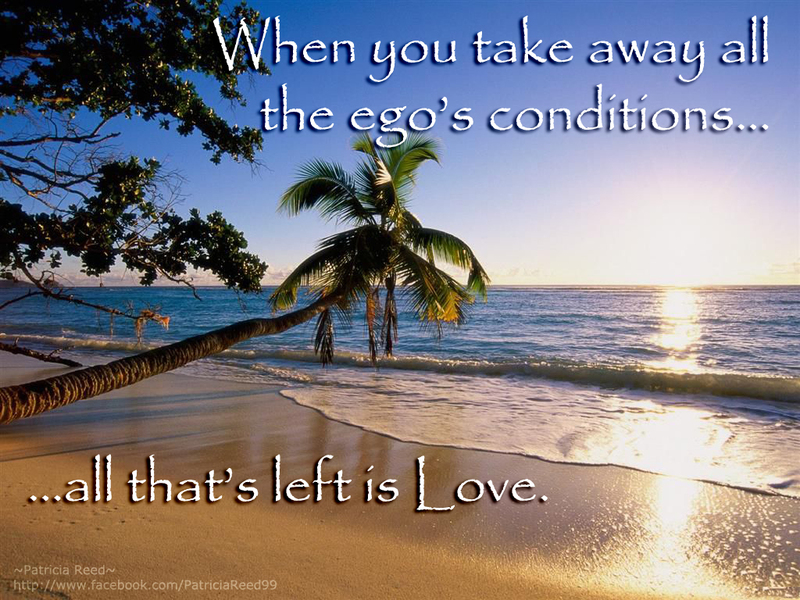 It is only the ego that puts conditions on Love. What if we could just dig down underneath all those conditions and experience Love as it was meant to be? What if we could Love as God Loves? How joyful might our days be?